IT'S NATIONAL CREAMSICLE DAY this Sunday! 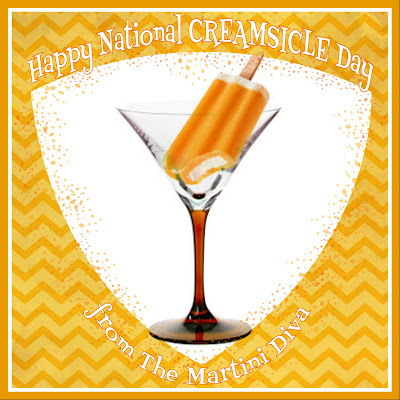 Celebrate with the Orange Cream Sicletini from The Martini Diva! The Orange Cream Cocktail tastes exactly like the original Creamsicle ice cream treat with the added benefit of booze. The classic frozen novelty was a creamy center of ice cream coated in a frozen layer of orange juice and orange was the first flavor produced in the Creamsicle brand.